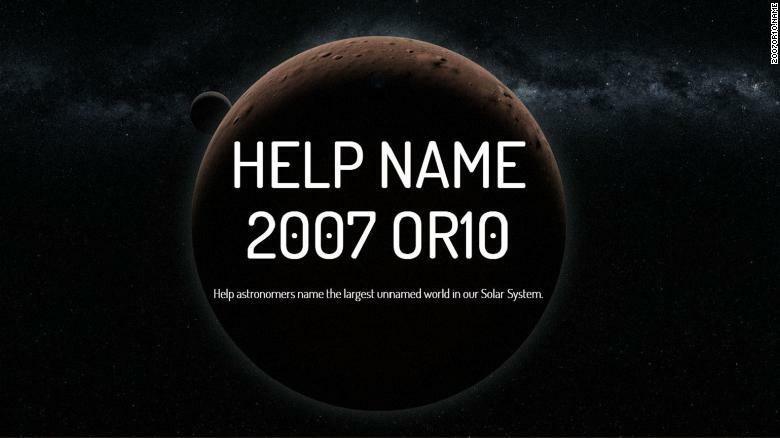 More than 10 years since its discovery, 2007 OR10 is the largest known minor planet in our solar system that has no name. The three astronomers who discovered it want the public's help to change that. (CNN)It's been 10 years since the largest unnamed minor planet in our solar system was discovered. Yet it has remained nameless, apart from the identifier 2007 OR10. The three astronomers who discovered it want your help to change that. Meg Schwamb, Mike Brown and David Rabinowitz announced the campaign to pick a suitable name in an article published by The Planetary Society on Wednesday. This isn't the first time the public's been asked to help name something. There were the eaglets at the National Arboretum who were named Freedom and Liberty. Not to be confused with the pair a year later named Honor and Glory. 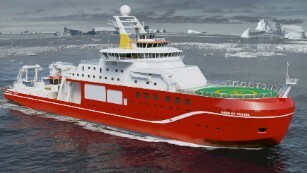 But remember that time the public named a research vessel R.R.S. Boaty McBoatFace? Or that time Slovak lawmakers had to override the public's vote to rename a pedestrian bridge after the actor Chuck Norris? Yeah ... let's not do that again. The International Astronomical Union (IAU) gives names to planets, and luckily for us, the organization has already preselected the names that meet its standards. You just need to vote. 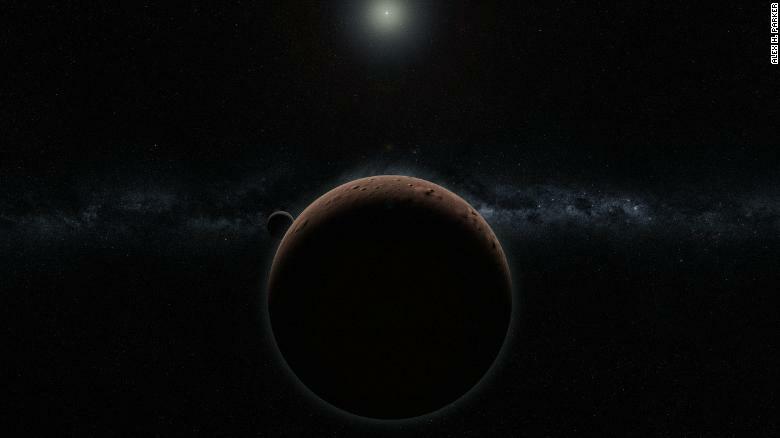 Artist's concept of 2007 OR10 -- the largest unnamed solar system object yet discovered -- and its moon. All of the options are associated with mythological creatures and figures that reflect the physical properties of 2007 OR10. Gonggong: A Chinese water god with red hair and a serpent-like tail. He is known for creating chaos, causing flooding, and tilting the Earth. Holle: A European winter goddess of fertility, rebirth, and women. She is a patroness of household crafts, especially spinning. Vili: Vili is a Nordic deity. Together with his brothers Odin and Vé, he defeated frost giant Ymir and used Ymir's body to create the universe. 2007 OR10 was discovered on July 17, 2007, in a search for distant bodies in a region of space know as the Kuiper Belt. It has one of the reddest surfaces ever found in the Kuiper Belt and is estimated to be smaller than Pluto and Eris. It's likely large enough for gravity to make it round, making it a probable dwarf planet, according to The Planetary Society. To vote for your favorite name, click here. Voting ends May 10, 2019.